VOTED BEST Memphis Commercial Roof Coating | Flat Roof Spray On Coating Service in Memphis, Tennessee - Beneficial Roofing | VOTED BEST Roofing Company, Call Us Today & See Why! A roof coating is an excellent choice to go for when thinking of protecting your commercial property room from the sun’s harmful rays, pounding rainwater and the natural effects of wear and tear. This solution not only seeks to lengthen the lifespan of your roof but also increases its aesthetic appeal. It’s hence a cost-effective option that offers greater value both in the short term and long run. 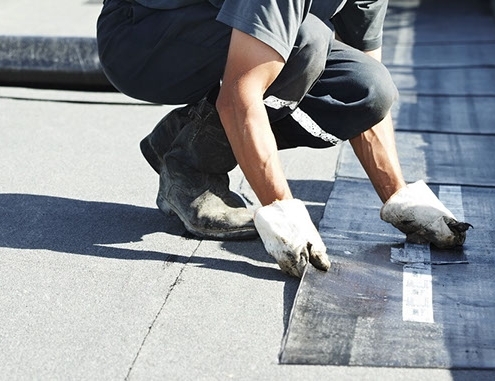 As an established Memphis-based roofing company, we offer a range of reliable commercial roof coating services that can perfectly meet your needs. With superior-quality products and longstanding experience in coating, we can ensure every coated roof surface is seamless, waterproof and that it has superb weatherproofing. We believe that a cool roof should be engineered with emissive and reflective properties. This helps reflect up to 80 percent and more of the sun’s rays thus delaying the roof aging while reducing significantly reducing the cost of air-conditioning too. Our roofing pros can literally handle any type of roof regardless of its slope, location, and exposure to heat, chemicals and UV rays. These are water-based that offer both excellent performance and greater cost-effectiveness. They are usually highly-reflective, UV-resistant and easy to apply. Acrylic coatings provide superb roof protection in most climates and are long lasting too. Aside from being high-impact resistant, these coatings can perfectly handle high-traffic. There are two polyurethane coatings to choose from: aromatic and aliphatic. The former is less UV stable, hence mostly used as a base coating while the latter is of higher quality and more UV stable, thus providing a durable, cleaner and more weather-resistant top coat. 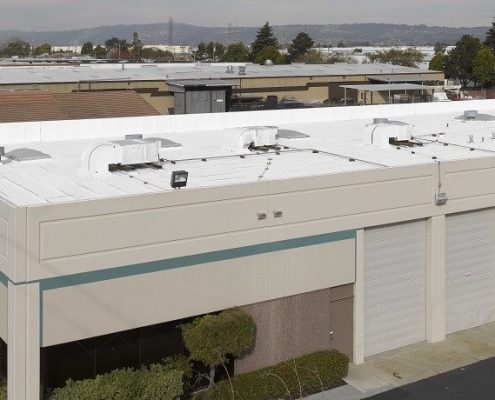 If you’re looking for a commercial roof coating that can provide excellent weatherproofing with no erosion or brittle, silicone coatings can be the best. They can also perform great in the ponding water surface. 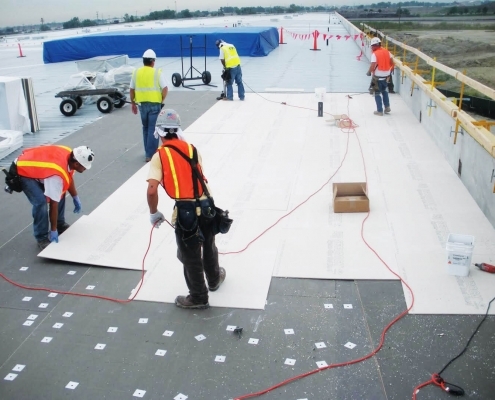 Our roof coating solutions cover almost all industries in the market. We can coat roofs for the hospitality, retail utilities, manufacturing, energy, education, and healthcare sector. We also have coating packages that touch on corporations, offices, real estate, small businesses and more. If you ever need a customized roof coating, you can always talk to us and we’ll make your dream come true. For pro commercial roof coating services Memphis, TN, call and/or click on the book an appointment.